The following local rules apply in addition to the R&A Rules of Golf Ltd and Kedleston Park Conditions of Competition. b) In or beyond the flowerbed to the rear of the 18th green, as indicated by the white posts. A ball is also out of bounds if it lies beyond the adjoining white posts that surround the clubhouse. The practice putting green to the rear of the 18th green is a wrong putting green. Note: Relief is available for lie of the ball ONLY. The ball may be cleaned when lifted. a) All flower beds and rockeries. b) Frost greens when applicable. a) All artificially surfaced roads and paths. Through the green, a ball embedded in its own pitch- mark in the ground (not sand) may be lifted, without penalty, cleaned and dropped as near as possible to the spot where it lay but not nearer the hole. 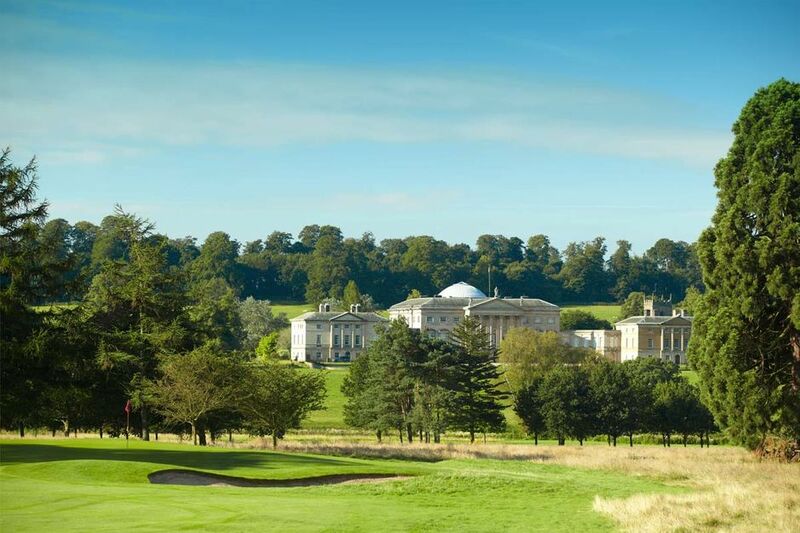 For all play at Kedleston Park Golf Club a player may obtain distance information by using a device that measures distance only. If, during a round, a player uses a distance-measuring device that is designed to gauge or measure other conditions that might effect his play (e.g. gradient, wind speed, temperature, etc) the player is in breach of Rule 14-3, for which the penalty is disqualification, regardless of whether any such additional function is actually used. ONE LONG BLAST of the klaxon will signify suspension of play. All players should immediately mark their golfballs and leave the course. TWO SHORT BLASTS of the klaxon will be made to recommence play.